The Pre-Health Science Collaborative Program between the Fort Valley State University (FVSU) and the Medical College of Georgia (MCG) was designed to increase under-represented minorities in health professions. The program has three (3) components: a) College Component, b) Three week summer Pre-Health Pipeline Program for High School Students and c) a Middle School Component. The College component activities consisted of eight (8) monthly seminars conducted by health professional students from MCG and active health professionals and educators, trips to MCG and other health professional schools, attendance at professional science meetings, hosting recruiters, MCAT and standardized test preparation, and assistance in preparation of professional school applications. The Pre-Health Pipeline Program for high school students includes science enrichment and instruction in mathematics as well as practice to develop writing and oral communication skills to improve SAT scores. High school juniors and seniors spent three (3) weeks on campus interacting with college instructors and other student participants. 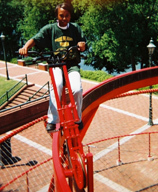 Enhancement also includes field trips to the Medical College of Georgia, the National Science Center (Fort Discovery), Morehouse College School of Medicine, the Centers for Disease Control, the Carter Museum and Tuskegee University School of Veterinary Medicine. Evening sessions featured area health professionals who discussed their respective careers. Middle school activities include visits to area middle schools by students and faculty who participate in judging Science Fairs and making science and health related presentations to selected classes. Middle school students are also invited to participate in field trips to MCG and other selected sites. The Bridges program is a collaborative effort between FVSU and MGC sponsored by the National Institutes of Health designed to aid students at MGC in continuing their education beyond the community college level. Student participants in this program are offered enrichment courses in Cell Biology, Ethics in Biomedical Research, Biology Seminar and Techniques in Biomedical Research during the academic year. 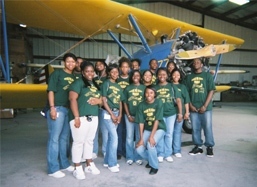 In the summer students participate in a summer research internships at FVSU. At the end of the summer program students deliver research presentations at the Southeastern Regional Bridges Science Conference. Later the students attend the Annual Biomedical Research Conference (ABRCMS) and other professional meetings to present their research posters. FVSU is a member of the Peach State LSAMPS consortium. The goal of this program is to increase the number of underrepresented minority students statewide who complete undergraduate degrees in science, technology, engineering, and mathematics (STEM) disciplines. Activities include workshop sessions, participation in service projects. Biology and other STEM majors are eligible for support depending on their progress toward their degrees.